Things are coming unglued in Trumpland. Manafort likely going to jail. Cohen flipping. And now Princess Ivanka and her two idiot brothers have been swept into a lawsuit by the New York State Attorney General regarding serious charity fraud charges. It appears Trump was siphoning funds from a charity to pay legal bills and other expenses. Trump needs a major distraction. He needs something so big the country will overlook his many crimes and allow him the elbow room to usher in a full-blown police-state dictatorship. Keep an eye on Erik Prince, he’s the perfect mercenary with the right connections to get the job done. My guess is it will be staged to implicate Iran, the apex of the neo-con mideast target list. As they used to say in the G.W. Bush administration; “Real men march to Tehran”. “One of the questions raised by Trump’s claims that the media and the courts have endangered the country is what he would do in the event of a terrorist attack. Jack Goldsmith, a former senior Justice Department official in the George W. Bush Administration, who helped design the post-9/11 anti-terror legal architecture, recently suggested that Trump might actually want his travel ban to be overturned. That way, in the wake of an attack, he can use the judiciary as a bogeyman and justify any new efforts to push through more extreme measures. When it happens, be skeptical, not emotional. 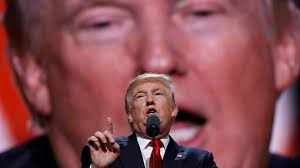 It will likely be spectacular, damaging, and painful, but see it as what it will be; cover for trump to consolidate power and move this country into a place it has never been before. This entry was posted on June 15, 2018 at 4:17 pm and is filed under Tell the truth and run !. You can follow any responses to this entry through the RSS 2.0 feed.